If you’re not familiar with our Morning Work books, let me give you a little background. As a new teacher I realized pretty quickly that I needed a clone–especially in the mornings. I was trying to finish stapling the math packets for later and 15 kids had questions. There were notes from home to deal with, lunch count, attendance, take-home books…It was a bit frazzling! For the first two years, I just copied a relevant worksheet (or if I couldn’t find one of those quickly they got a random worksheet), and had the kids work on it. This didn’t sit right for a couple reasons. One, it was a daily scramble for me to find something. Two, it was straight-up busy work. It wasn’t fair to the kids and it wasn’t fair to me. Right about this time, No Child Left Behind was gearing up. My principal was very focused on spiral review. Out of all that, the first Morning Work Book was born. It was revamped over the years, and now expanded to include 1st and 3rd grade. And so, here we are! If you’re going to spend precious in-class time on something, it had better be the best, right? Promote higher-level thinking? Keep previously learned topics current in little minds? Of course! That’s what I’ve created for you here. The format is similar to our 1st and 2nd grade Morning Work Books. There are 180 pages of CCSS language arts and math spiral review. Because beginning third graders haven’t learned third grade content yet, we review 2nd grade curriculum in the first few weeks. Simplified material helps students to master the procedures. There will be 2 or 3 weeks when you have to guide them through the page. After that they should be able to complete the work on their own. We intentionally made the format and question types repetitive so that once students are familiar with the expectations they can work independently—freeing you to wrangle the dozen other tasks that need your attention in the morning. We’ve tried to strike a balance between predictability (for student independence) and novelty (to keep students engaged). The book is built on a series of spiraling material within larger cycles. Every ten pages is one “cycle.” The type of question on page 3 is the same as 13, 23, 33, etc., but the content within those cycles gradually increases in difficulty. So on page 4 students are reviewing ending punctuation. By page 144 they’re still working on mechanics, but now it’s focused on using quotation marks and commas correctly. 1. Vowel pattern focus (following the Words Their Way sequence) that progresses from basic long vowels (silent e patterns) to trickier patterns like i before e words. Words using this pattern are used throughout the cycle (vocabulary words, story problems, editing sentences, reading comprehension stories). 2. Consonant pattern focus (following the Words Their Way sequence) that progresses from 3 letter consonant blends (scr, thr, etc.) to harder patterns like -ough. Words using this pattern are used throughout the cycle (vocabulary words, story problems, editing sentences, reading comprehension stories). 3. Vocabulary acquisition word that fits either the vowel pattern or consonant pattern for the cycle. Students will practice the word 4 different ways during the 10 –day cycle. The idea is that repeated exposures over time aid in retention of the word. 4. Original story to practice comprehension and fluency. Students read a story on page 5 (15, 25, etc. ), answer questions about it, and fill in a graphic organizer for close-reading practice. On page 10 (20, 30, etc.) students read the same story for a second time. This time they focus on determining meaning of vocabulary words and reading aloud for fluency practice. The reading passages alternate between fiction and nonfiction. Many of the words in the story are taken from the cycle’s vowel/consonant focus. The stories get progressively difficult throughout the year. They also apply their skills to editing sentences. 6. Affix Each cycle focuses on a particular prefix or suffix for determining meaning and practicing spelling. Cycle 1 starts with the -ing suffix and Cycle 18 gets them to the -ent/-ence suffixes. 7. Sight Words There are eight 3rd grade sight words for each 2-week cycle. 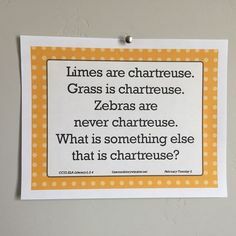 Students will practice the words four different ways. So the cycles are the framework that holds this all together. The rest is the content the grows progressively more challenging throughout the year. A. 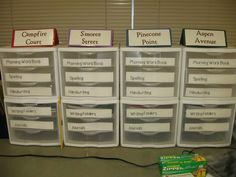 This box rotates among 3 types of vocabulary questions and 1 phonics based question. B. This box rotates among grammar/usage/mechanics questions. Each cycle has 4 mechanics, 2 grammar, and 2 usage questions. C. Students either correct a sentence here (blue C) or compose their own based on a given topic (orange C). When writing their own sentences, students are expected to edit their work for correctness. D. Cursive isn’t in the common core, but several states have mandated that 3rd grade still needs to teach it. If you’re one of the states that doesn’t need cursive you can skip this box or just figure that it isn’t doing any harm. If you’re required to teach cursive, this will help you squeeze in a little extra practice. The letters appear according to the Handwriting Without Tears sequence. Letters with similar strokes are taught together. This cursive font isn’t my favorite (a little too loopy), but it’s difficult to find a cursive font that provides the dashed line practice. E. This box alternates between vocabulary practice and sight word practice. F. The large boxes changes with each page. It covers graphing, affixes, 3-digit number sense, opinion writing, math facts, parts of speech, measurement and dictionary skills. Starting with cycle 10, dictionary skills are replaced by multiplication and division practice. G. This box is for problem solving. Questions rotate among addition, subtraction, multiplication, and division. All question types are covered. H. More addition, subtraction, multiplication, and division questions. Starting with cycle 10, the symbols for multplying and dividing are used. I. This box is for measurement, place value, and geometry (including fractions). J. And one little tiny multiple choice question! Question types include: greater than/less than, money, solving problems with a missing part, place value, fractions, time, etc. After becoming familiar with the layout, most students will finish a page in 10-15 minutes. Some students will drag their feet. You know how it goes! When you’re ready to start the day, it’s important to take time to correct the page as a class. The deep learning happens when students can see their errors and understand why they’re wrong. It’s also beneficial to provide time for students to prove the “why” of their answers. Even with the multiple choice problems, expecting students to be able to say why the other options are wrong and how they know their answer is correct opens the door to some amazing understanding. Some mornings there will be a rush to get to the assembly and you won’t have time to correct in-depth, but make it as much of a priority as you can. Correcting time are some of the most important minutes in the day! Over the past few months, I’ve had to learn the 3rd grade core backwards and forwards. All I can say is: you guys sure have A LOT of standards!!! I hope that this product helps you to teach them. You can download a free 10-page preview. These are middle-of-the-year level difficulty. You can download 10 MORE pages and purchase the product at our Teachers Pay Teacher shop. And I’m off to open that sparkling grape juice! Cheers!! This makes me happy, happy, happy! I loved your second grade morning work! 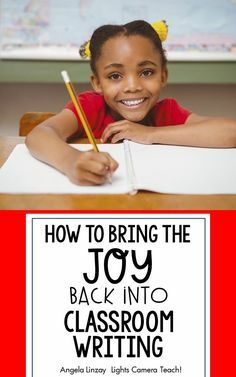 I teach fourth grade this year and have a really low group of kids this year, so I know this is just what they need to master third grade skills they are lacking! Thanks for all of your hard work! Thank you so much Crystal! I’m not glad that you have a struggling group, but I AM glad that this will be helpful for you!! Will you be making a third grade homework product? I was just about to ask about the 3rd grade homework product. But I see that Cassie as already asked! How is it going? When can we expect to see something? Also, I think you should be spotlighting your 3rd grade products on your homepage. It took me a while to discover them! thanks, and I keep thinking…How does she do this? I am loving this morning work packet. I teach 3rd grade in Virginia and while we aren’t Common Core, I WILL be using these. Waiting on the 3rd grade homework packet. I looked through the 2nd grade one and I’m very excited! Hi! I love your products. I just downloaded the 3rd grade morning work. It did not include a scope & sequence or CCSS correlation spreadsheet. How do I obtain these? Thanks! I’m so glad you like the 3rd Grade morning work. I would love to get the homework to you as I finish it, but the homework comes together in a different way. In order to make sure I’m correctly pacing the increasing level of difficulty, I have to do a whole topic–from beginning levels to end of year levels. So, all the fraction and telling time pages are done, but none of the measurement. I’m finishing first grade fluency right now, but then I’ll be onto the 3rd grade homework. I Love this but do you have a UK version? We don’t have anything like that right now, but we’ll keep it in mind for the future. I am geeked about this work. It is amazing and a life saver for a multigrade grade (k-4) classroom teacher. Thank you! 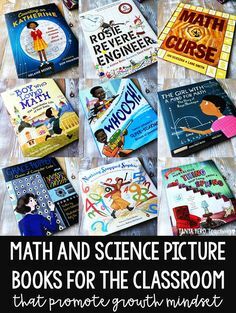 Do you have one for 4-6 grade? I love your products and have used them in multiple grades now. I loved the 2nd fluency homework I used last year. Any chance there will be one for 3rd grade soon? Thank you for all your hard work! I’m working very hard on 3rd grade fluency passages! We’ll release them when we’re about halfway through. Hi Marla! I’m not sure why that’s happening. If you want to e-mail me at sstorywindow@gmail.com I’ll send you the preview myself if you’re still having trouble. Sorry about that!